This is a nice puzzle for children that I picked from the book “Moscow Puzzles” (Puzzle #88). See the figure below: Cat has decided to take a nap. 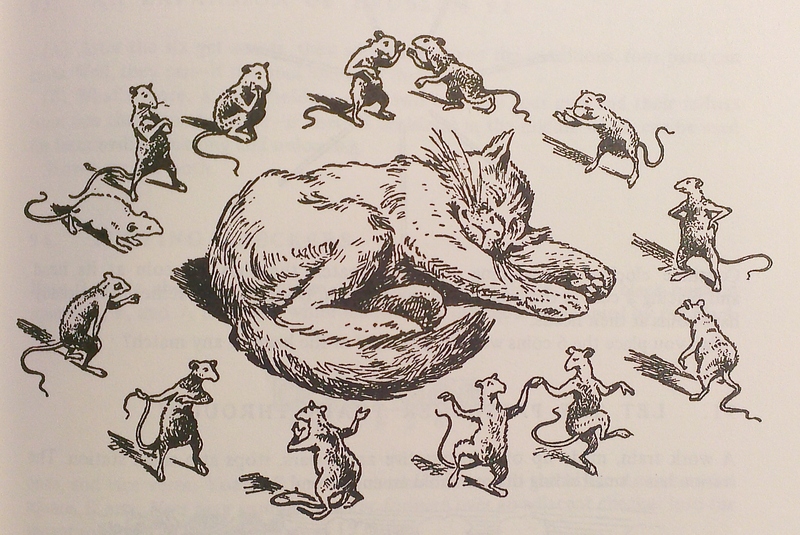 He dreams he is encircled by 13 mice: 12 gray and 1 white. The cat hears his owner saying “Cat, you are to eat each 13th mouse, keeping the same direction. The last mouse you eat must be a white one.” which mouse should the cat start from? This entry was posted in Puzzles and tagged Alok Goyal, numbers puzzle. Bookmark the permalink. The cat has to start eating from the 6th mice in front of the white mouse and the cat is going counter clockwise.